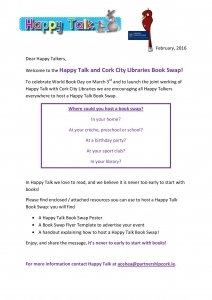 Happy Talk » Comhar Chathair Chorcai Teo, Cork City Partnership Ltd. 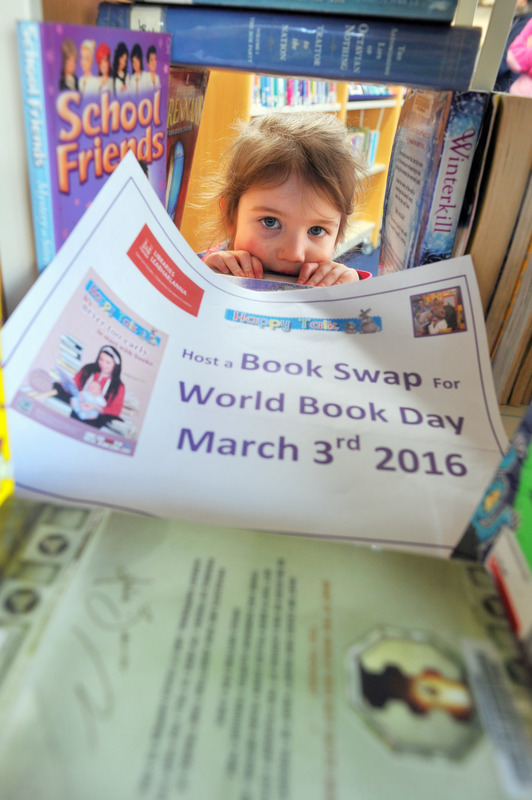 Happy Talk and Cork City Libraries celebrate joint working for the future by hosting Book Swap for World Book Day 2016!! 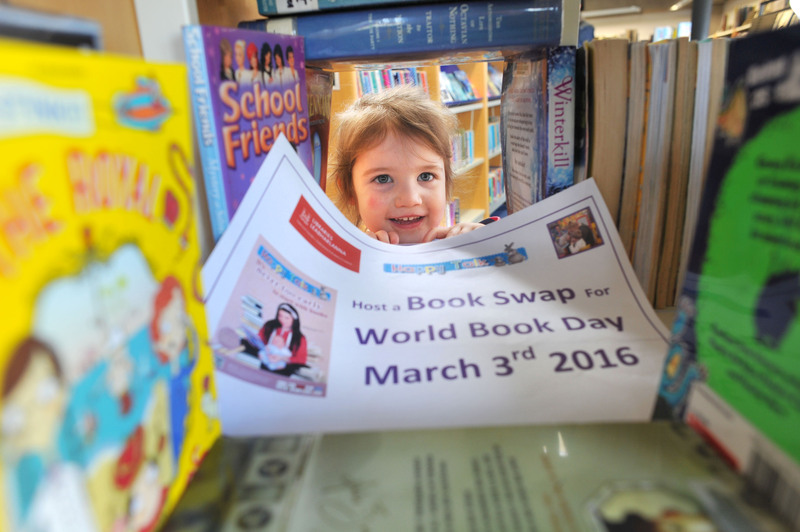 The launch of a joint Happy Talk and Cork City Libraries initiative for World Book Day. To celebrate Happy Talk and Cork City Libraries will host a Book Swap on World Book Day, March 3rd. Happy Talk and Cork City Libraries have announced a citywide book swap surrounding World Book Day which takes place on March 3rd. 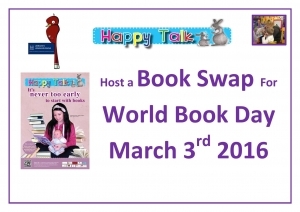 Children across the city are invited to bring a book they no longer read to their crèche, preschool or school, over the coming weeks and on World Book Day they will go home with a ‘new’ swapped book. 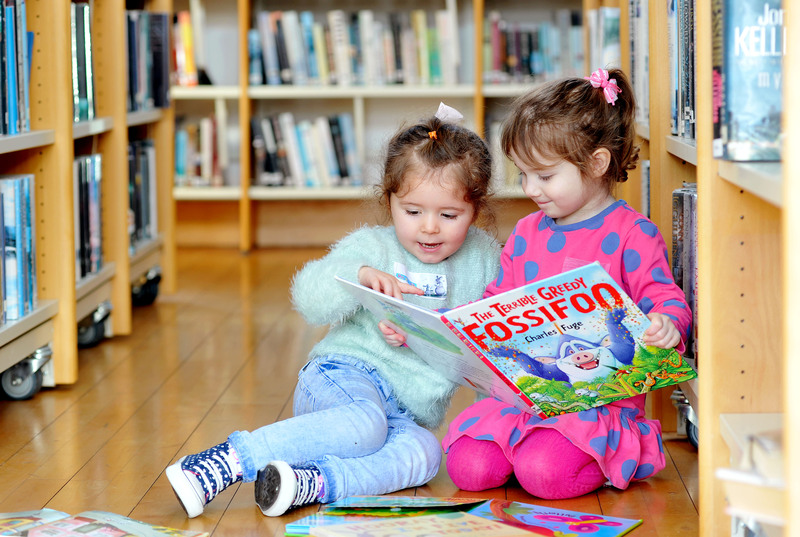 This initiative is being coordinated by Happy Talk and Cork City Libraries, who are working together with children’s education settings to promote reading and early literacy and language skills. 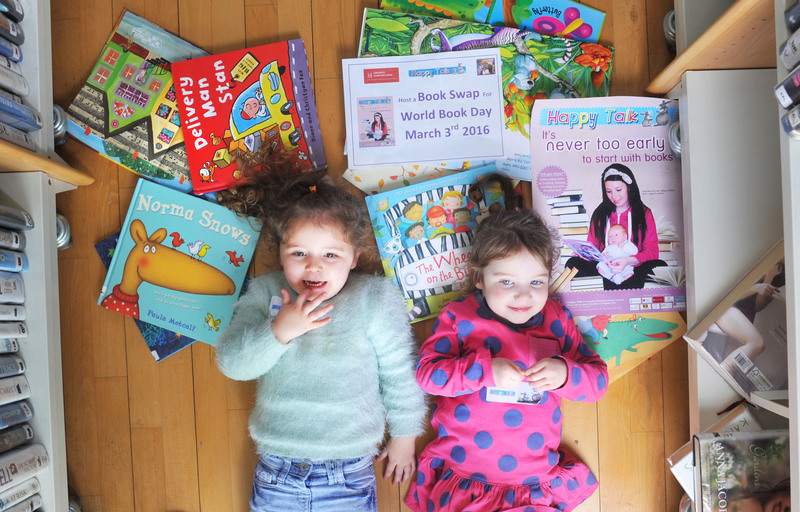 Happy Talk Co-ordinator Aoife O’Shea said the language development project is delighted to partner with Cork City Libraries to promote the Right to Read Campaign. “This a common sense way that we can promote children’s reading at no cost to families. 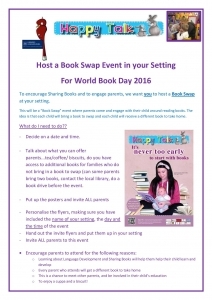 I would therefore encourage all educational settings to get involved in organising a swap. 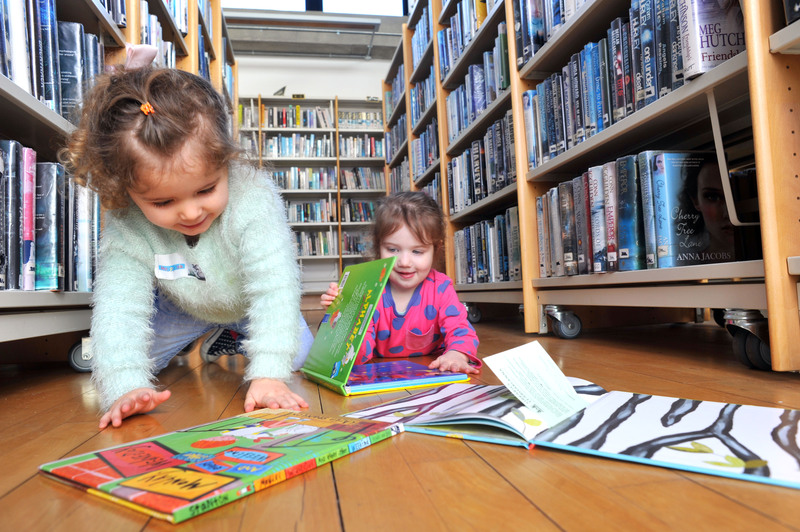 We have resources available to explain how to organise it effectively. 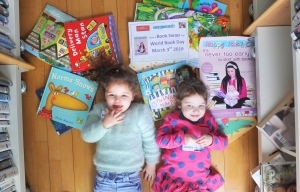 Happy Talk is a language development project that works with children aged 0-6 in Cork City. 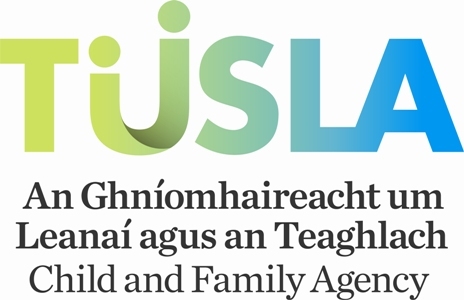 An evaluation of the Happy Talk programme between 2011 and 2013 identified improvements of 15% in language skills among Junior Infant children. 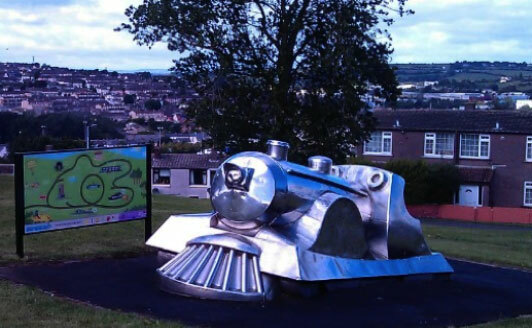 Click on the below images for more information! 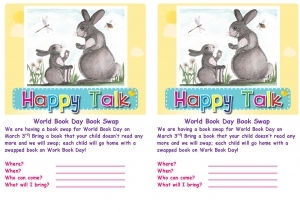 Happy Talk: an innovative project designed to improve the language and learning skills of children aged 0-6. 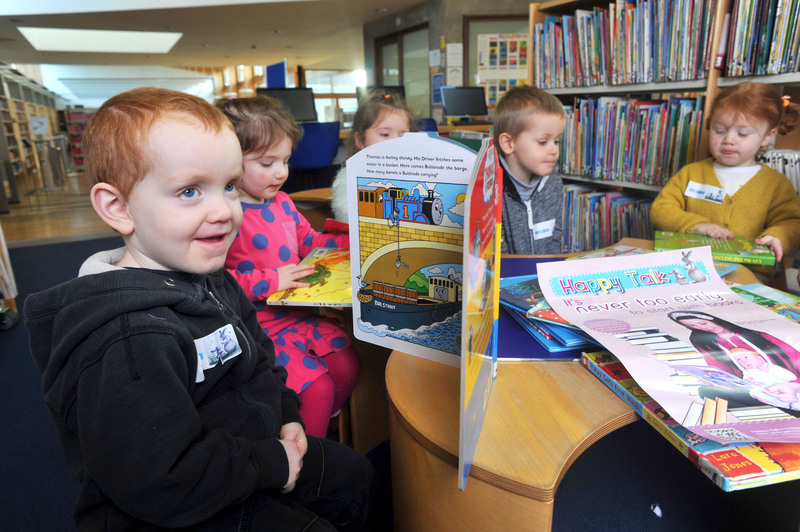 • To improve the language and learning skills of children aged 0-6 age in the Glen and Mayfield areas. 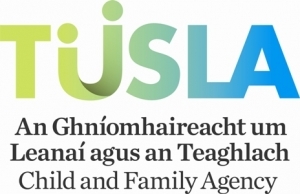 • To support and develop parents capacity to support children’s language development. • To create a whole community approach to language. 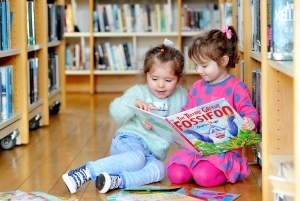 • To upskill early childhood care and education staff to support children’s language development. • To record, measure and evaluate the project. 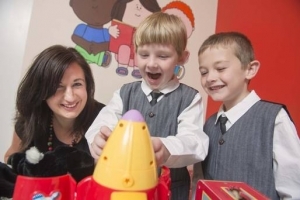 The ‘Happy Talk’ Speech and Language Therapists work with parents, childcare staff in crèches and pre-schools and teachers in the primary schools. 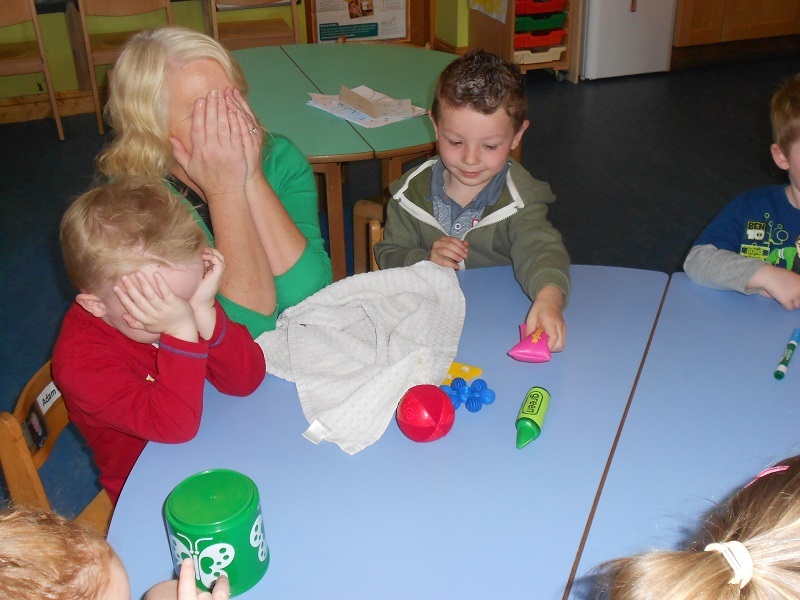 They provide ideas, strategies and support around language development. 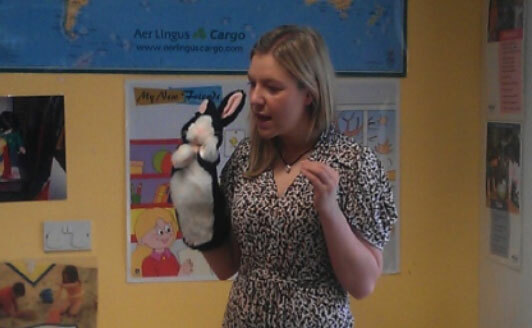 ‘Nibbles’ and ‘Twitch’, the ‘Happy Talk’ rabbit puppets are a popular aspect of the programme. 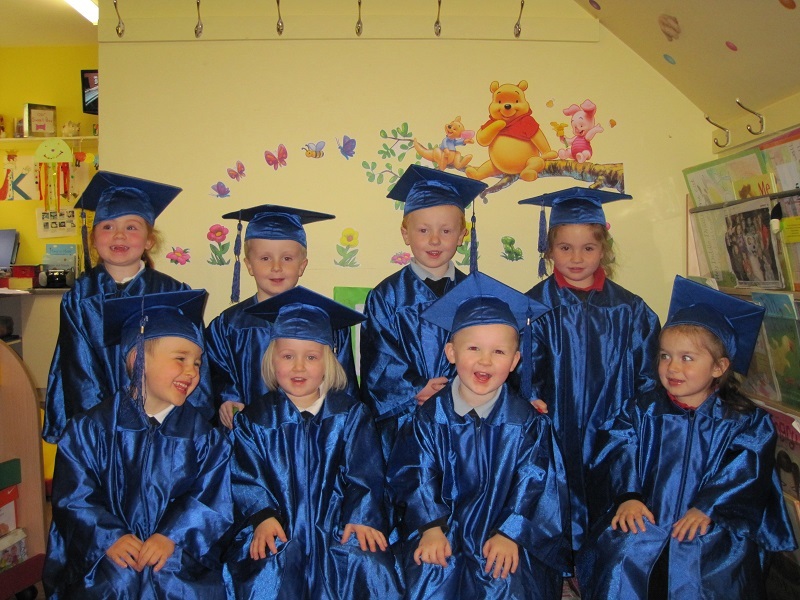 Click on the orange circle to hear the rap the senior infants created with Garry McCarthy (GMC).